Celebrate baby’s 1st Christmas – Twenty Fingers style! 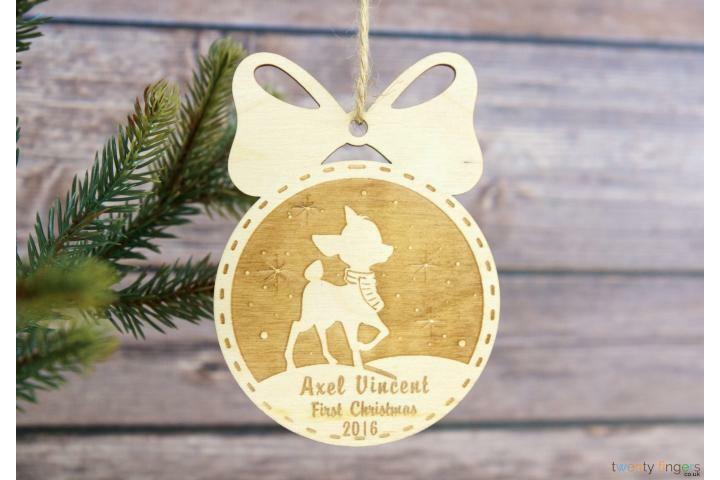 What better way to mark their first Christmas on the planet, than with a personalised tree decoration? We can’t think of one! And it’ll last for years to come! Why should I choose a wooden tree decoration? Free UK delivery and returns – it’s a Christmas miracle! Here at Twenty Fingers we deliver, whatever the weather, so that’s free UK delivery on orders over £39 – guaranteed! Not happy with your purchase (sad face)? We’re happy to help. Need a refund? No problem, so get ordering today! And for more bright ideas, check out the rest of our unique personalised Christmas tree decorations!